Roman, Inc 5" Rhoda Shepherdess Fig. 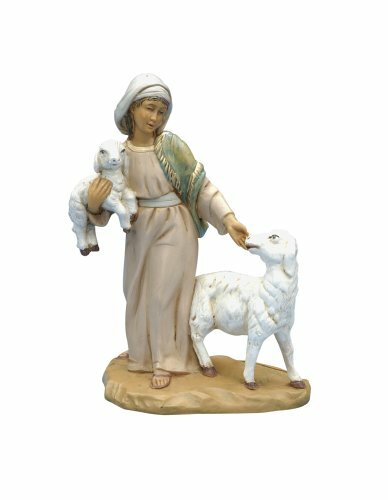 Made of an unbreakable Polymer, and hand decorated in Bagni di Lucca Italy by the House of Fontanini this figure is part of the Heirloom Nativity collection. The Rhoda figure is a strong accessory for the Fontanini 5" sets. Attractively photo boxed and packed with a story card that gives Rhoda's story. Great for sharing with Children.